» Berlin-Bound: Which Team Has the Best Chance of Winning the Champions League? As we told you a few weeks ago, the drama’s all but gone from the major domestic leagues across Europe. Thankfully, the Champions League is here to save us. The quarterfinals of soccer’s greatest annual competition kick off today with Atlético Madrid hosting Real Madrid in a rematch of last year’s final and Monaco traveling to Juventus. Tomorrow, FC Porto welcomes Bayern Munich and Barcelona visits Paris Saint-Germain. So, before the games begin, let’s take stock of the eight remaining teams. These aren’t quite power rankings with teams listed from worst to best, but rather a thoroughly unscientific estimation of how likely it is that a given team will win the whole damn thing. It’s been fun, Porto. While you benefited from a relatively comfy group and an easy Round of 16 matchup against FC Basel, the fun’s about to end with Bayern Munich looming on Wednesday. Now, this is not to say that Porto aren’t a good team: They are, and as always they have a fun mix of players you kind of remember having heard of once — like Ricardo Quaresma, formerly of everywhere and now in his second stint with the club; Cristian Tello, on loan from Barcelona; and Hector Herrera, the 24-year-old Mexican international — along with exciting young talent like the 20-year-old Atlético loanee Óliver Torres and 22-year-old Colombian playmaker Juan Quintero. But when it comes to making noise deep into the Champions League, the problem for Porto is that they remain a breeding ground for tomorrow’s talents, and they’re about to come up against a team chock-full of the stars of today. Monaco is a fascinating team. Manager Leonardo Jardim is only 40, but he’s been in charge of clubs around Europe for the past 11 years. After the departure of high-profile cornerstone acquisitions James Rodríguez and Radamel Falcao, he’s turned Monaco into a young, impenetrable juggernaut. Jardim’s side defends, defends, and defends some more, only occasionally sending a third player forward to attack along with the strikers. It got them out of a competitive group, and it worked against Arsenal, so it’s not impossible that the conservative approach will work again in the tie with Juventus, who will be without star midfielder and astronomical object Paul Pogba. But even if the French side were to pull off another stunning upset, it’s really difficult to see them taking down whatever pricey attacking monster they’d face in the semifinals. While this Atlético squad is pretty good, they don’t have quite the same swagger from 2014. 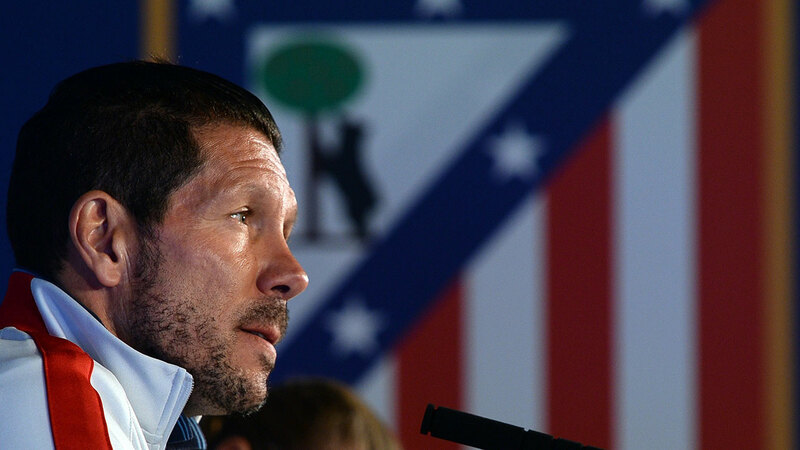 Last season’s final appearance (and La Liga title) was the result of a perfect combination of players developing at the right time, Diego Simeone’s brilliance, and a Champions League path that kept them away from Real Madrid and Bayern Munich until the championship match. With the departures of Diego Costa, Filipe Luis, and Thibaut Courtois, a bunch of still-developing players, like Saúl in midfield and José Giménez in defense, have taken on bigger roles. The younger makeup of the squad bodes well for its future, but it also means Atlético probably won’t make a repeat run to the Champions League final. Still, we can expect a damn good fight against Real Madrid in the quarterfinals. The two clubs have met six times this season, and, remarkably, Atlético has won four and drawn two of those matchups. They’re going to try to bully Real — and any other team they might meet — by beating them up on defense and pounding in set play after set play on the other end. Among the European elite, Simeone’s men make up one of the few squads who are more comfortable without the ball than with it. PSG was responsible for Barcelona’s first “crisis” of the season when they defeated Messi & Co., 3-2, in Paris during the group stages. So there’s at least some reason to believe that they can challenge one of the presumptive favorites. The French champions are clearly one of the most talented teams in the world, but they take on Barcelona at just the wrong time. Their win over Chelsea was astounding, but because of the red card Zlatan Ibrahimovic picked up in that match, he’s suspended for the first leg in Paris. Marco Verratti is also suspended due to yellow-card accumulation, and Thiago Motta is injured, so Laurent Blanc will be without two-thirds of his possession-oriented midfield. Add in an injury to center back David Luiz, one of last round’s heroes, and the team’s spine is suddenly very depleted. It’s fairly unlucky that PSG have to face Barcelona now. Had they drawn an easier opponent, one that wouldn’t have punished their currently shorthanded side like we should expect the Catalan club to, they might have ended up as a force in the later stages of the competition once the squad was back to full strength. As it is, they’re unlikely to get past the quarterfinals for the third year in a row. The Italian side has a whopping 12-point lead in Serie A — and that’s after this past weekend’s shocking 1-0 loss to bottom-dwelling and completely insolvent Parma. Juventus hasn’t played a meaningful game since its 3-0 road victory against Borussia Dortmund in the Round of 16 last month. So the Turin club could be great, or they could just be really good at steamrolling cupcakes. We’ll find out as soon as they play one of the favorites, but luckily for them, that won’t happen until the semifinals. And luckily for the rest of us, we likely won’t be left wondering what might have been for Juventus if they had only had Pogba in the lineup. The 22-year-old, whose name is increasingly being linked with some of the richest clubs in the world, is currently out with a hamstring injury and hopes to return in time for the second leg of a potential semifinal matchup. Given that this might be Juve’s last run with world soccer’s Next Big Thing, it seems only right that they landed a draw that should keep them in the tournament until Pogba’s back on the field. For the two legs with Monaco, an incredibly prolific strike force centered on Carlos Tevez will have to be enough — and it should be. Of all the teams remaining, Real Madrid consistently cram the most attacking talent on the field. Thanks to president Florentino Perez’s high-profile summer acquisitions of James Rodríguez and Toni Kroos, the squad now plays a front six of Cristiano Ronaldo, Karim Benzema, Gareth Bale, Luka Modric, Rodríguez, and Kroos. That’s insane on two levels: (1) It’s insane to think that any opposing team can deal with that amount of firepower, and (2) it’s insane to think that Real have any ability to defend with so many forward-thinking players in the midfield. But for long stretches this season — most notably, Real’s 22-game winning streak — Carlo Ancelotti has found a way to martial all of this talent into the most breathtaking attacking machine in recent memory. It’s a subtly complicated system that involves Bale transitioning between being part of a front three and a right-sided midfield role and James drifting from the left midfield into the center to become the creative hub of the attack. When it works, there’s not much anyone can do to stop the constant vertical bombardment. When it doesn’t, as we’ve seen for much of 2015, the defense gets exposed and it’s all Bale’s fault. Real Madrid probably have the highest variance of any team left in the tournament. They could blow the doors off of three teams in a row and waltz to a second-straight title or they could melt down against Atlético Madrid and crash out in the quarters. Neither outcome would be all that surprising. Bayern Munich are a great team, but we won’t quite know how great until the next round. Much like Juventus, the Bavarians have dominated their domestic league so thoroughly that true measuring sticks are difficult to come by. Pep Guardiola’s side lost to third-place Borussia Mönchengladbach, 2-0, at the end of March and needed a penalty shootout to advance past fourth-place Bayer Leverkusen in the German Cup last week. But for a team that has lost three — three! — games across all competitions this season, chances are that those blips aren’t heralding any kind of impending disaster. Despite being without Bastian Schweinsteiger, Franck Ribéry, Medhi Benatia, David Alaba, and Arjen Robben against Porto, the German giants will still roll out a team full of superstars that their Portuguese opponents could only dream of. Poor Bayern will have to rely on Thomas Müller, Mario Götze, and Robert Lewandowski in attack, and somehow find a way to get by with a midfield of Xabi Alonso, Thiago Alcantara, and Philipp Lahm.1 Guardiola’s group should have more than enough in the tank to coast by Porto. After that, it’s all about doing away with the stigma from last year’s demolition at the hands of Real Madrid. Of course, the old tika-taka standby is still there — albeit with less Xavi and more Ivan Rakitic — but so, too, is a lethal counterattack that’s turbo-powered by a front three of Messi, Neymar, and Luis Suárez. Manager Luis Enrique’s willingness to let that trio orchestrate counterattacks on its own has given Barça a solid defensive base, as midfielders and fullbacks are no longer launching forward at every opportunity. With the added support, Gerard Pique suddenly looks like one of the world’s best center backs again.2 And with a defense that has conceded 19 goals in 31 league games, combined with that hellish and unceasing attacking triumvirate, Barcelona look like the favorites to win it all. Unless, of course, the best fullback of the last decade actually plays fullback. Minus this unfortunate incident over the weekend.